Virtual memory is a special memory management in a computer which is to be managed virtually working on address space associated with operating system. Virtual memory is present in almost all modern operating systems. The original motivation for the abstraction of memory addresses to virtual addresses was to standardize the use and the possibility of combining different memory sources. Virtual Memory management also enables the implementation of memory protection mechanisms for the separation of programs with each other. The computer system provides each process with addresses from 0 to n-1 in a contiguous local memory space. In reality, this memory area of ? ?each page is of a defined size (Pages) within the virtual address space of the machine. These virtual pages are in turn mapped to physical pages that are somewhere in physical memory or even in a swap file. When accessing a local memory of a process to address the operating system it replaced by Virtual Memory Management Unit. (Read : Virtualization with Hyper-V and Memory Paging File). The concept of paging in Virtual Memory is used with narrower sense, only the process of mapping the virtual addresses to physical ones are taken. In the other (incorrect) meaning it is used synonymously for swapping. Swapping is the outsourcing of real RAM memory area to another, secondary storage, typically in a swap file on a disk by the operating system. The idea that in typical computers the hard drive is considerably greater than the available electronic memory (RAM). This memory can also be used to service memory requests of programs. 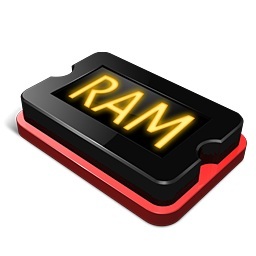 Memory requests from programs that go beyond the available RAM, then served on memory from the swap space up to the maximum size of virtual memory per process. The disadvantage is that the paged memory to disk is much slower than RAM. However, still this makes the operation of the program. To alleviate this problem, operating systems with a process tries to monitor the RAM and swap space optimally distributed among the various processes. This Article Has Been Shared 3200 Times! Virtualization is now offered not only bigger companies, but also by small or medium sized companies. But how this Virtualization works and what it does. Linux Graphical Desktop on Rackspace Cloud needs some priming as most has very limited idea on VNC Remote Desktop and the tight integration with OpenCloud. Cloud computing is a set of technologies, allows you to perform all the operations that we perform on a regular computer, using the resources of the provider. Virtualization is the most important part before adopting cloud computing solutions as at least for basic IT services deployment of virtualization is important. Cite this article as: Abhishek Ghosh, "Virtual Memory and Virtual Memory Management," in The Customize Windows, April 30, 2012, April 24, 2019, https://thecustomizewindows.com/2012/04/virtual-memory-and-virtual-memory-management/.